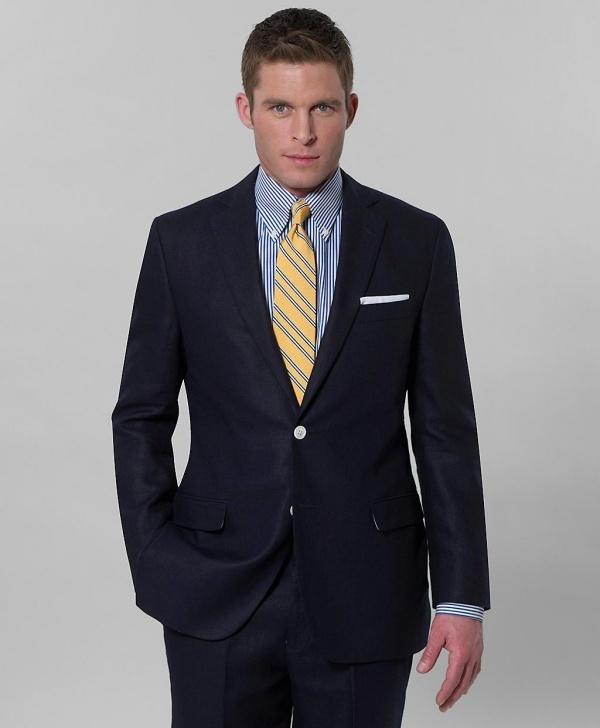 Big fans as we are of Brooks Brothers and of navy as a suiting choice, we loved finding out about this Irish linen Fitzgerald fit navy suit from Brooks Brothers for the summer. A modern linen suit with half lining for the warm air, we love the dark navy coloration and bright buttons, giving it a very nautical feel. Available online now.